is a Hungarian economist and Member of the European Parliament. He holds a PhD from the Budapest University of Economics. 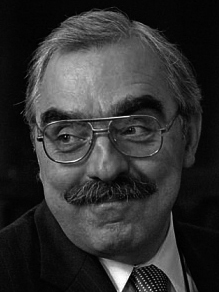 He was director of the State Property Agency of Hungary (1990–1991); chairman and CEO of the Budapest Bank (1991–1995) he is a full professor and former CO of the Central European University. Bokros, who served as Hungary’s Minister of Finance from 1995 to 1996, is best known for the so-called “Bokros package”, a string of austerity measures implemented during his term. Since 2009 he has a seat in the European Parliament. In the 2010 election he was the Hungarian Democratic Forum (MDF) candidate for the post of Prime Minister. He lives in Budapest.